Are you ready to get creative? These five D.I.Y kid’s projects involve cutting, gluing, painting — all of those fun and messy things that kids and crafty moms enjoy! These five projects are all made with recycled materials like cereal boxes, newspapers, cardboard tubes, and pizza boxes. Paint over cereal boxes, paper towel rolls, and cardboard oat canisters so that they look like buildings. Encourage your kids to get creative with their decorations! 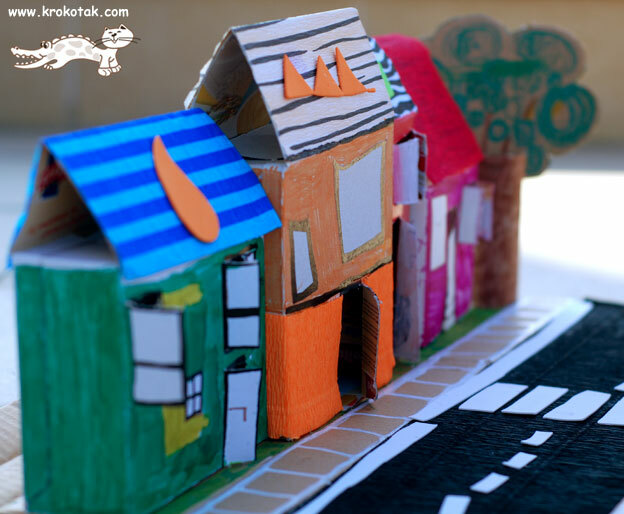 You can then line your buildings up over paper “roads” to make a make-believe neighborhood. This project is best done with kids of at least seven years old. You’ll need a pretty big space as well, because the geodesic dome ends up being big enough to stand in! This project is great for using up old newspapers, and will help your child learn about angles and spacial reasoning. Find instructions online and follow them step by step. 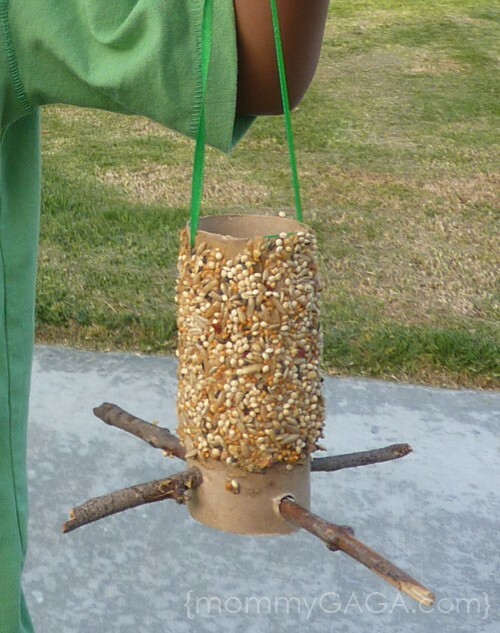 Turn a toilet paper roll into a bird feeder! This fun D.I.Y. kid’s project is great for young kids, from ages 3 to 6 ideally. Help children cover the T.P. roll with a thin layer of peanut butter, and then roll this in a mixture of birdseed. Cut holes into the base, and go on an outdoor search for the perfect sticks to thread through the holes. Tie to a branch with a piece of string, and watch the birdies come feast! I love this idea from Sarah, who blogs at “Frugal Fun 4 Boys”. This idea is a winner! Kids will have fun making it, and then playing for hours as they work on honing their skills. You’ll need a cardboard box, empty toilet paper rolls, paint or colored paper, glue, and one small rubber ball. For this project, you’ll need a not-so-greasy pizza box, white paint, and a set of kid’s paints. First, clean out your pizza box of all crumbs or traces of food. Then, tape the lid down, and coat the entire top and sides of the box with a few nice coats of white paint. This makes a great canvas for your little artist! Set your child up with paints and brushes, and let her create a masterpiece. You’ll be surprised at how fantastic this will look up on the wall! I hope you have gotten some inspiration from this post, and are ready to dive into your next kid’s project. If you’re looking for more ideas, also check out this great homemade 5 minute slime recipe. Which idea are you going to try first? Leave a comment below!